Have you ever wanted to cover your favorite NFL, NBA, NHL, or MLB team? Are you an aspiring writer looking to gain experience in the sports journalism world? Are you a savvy pro looking to expand your portfolio? 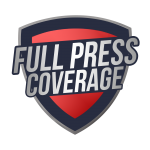 If you answered yes to any of those questions, Full Press Coverage could be the place for you! First and foremost, you will get your work seen. As a team, we pride ourselves on quality content across the board. If you join the team, you will grow as a writer/editor while reaching a large audience around the world. Whether it is your first writing job or your 30th, we are constantly looking to promote the best and brightest. While working for FPC, there will always be an opportunity to grow and expand your interests. We have a growing radio/podcast network that is open to our staff and they are encouraged to grow beyond the written side of journalism. Editors are responsible for managing a team of writers and producing regular content for their assigned team. In addition, social media work and content promotion will be a focal point of the job. These positions are paid based on the performance of the page and the accompanying content. UPDATED (1/27/19): We are now accepting applications to cover the AAF, XFL, College Sports, and Professional Wrestling! Writers are just that… writers. As a member of the team you will provide written content for your assigned team and work closely with your editor and other team writer’s. Writers as well as everyone else, are also tasked with promotion of their work through social media and other avenues. Most writing jobs are unpaid, however, there are opportunities to earn. We are currently looking for someone to manage a variety of different Social Media accounts including: Twitter, Facebook, and Instagram. Please inquire about editor positions in the NBA, MLB, NHL, AAF, XFL, and Pro Wrestling.